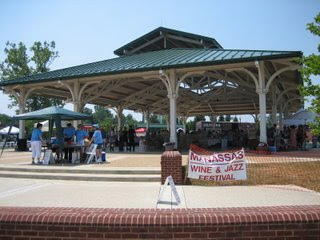 On June 17th the Historic town of Manassas will host their 3rd annual Wine and Jazz Festival from 11am to 6pm under Loy E.Harris Pavilion. We have attended this festival for the past two years, and although smaller than your typical Virginia wine festival, it is more intimate and packs the excitement without the long lines and the feeling of being hurried as you sample through wines and chat with the local producers. Last year was certainly fun-filled – we had the opportunity to learn about a then new local winery that hadn’t yet opened, Winery at La Grange, and visit with our friends from Corcoran Vineyards (formerly Waterford), as well as chat about Virginia wine with tireless supporter and promoter, Gordon Murchie, of the Vinifera Wine Growers Association. There were also some great local craft and food vendors on hand, and a delightful mix of traditional and contemporary jazzy sounds to enjoy. This year’s line-up promises to be just as enjoyable with 11 Virginia wineries featured, 3 local jazz musicians and local craft vendors, along with several eateries ranging from casual to gourmet fare. 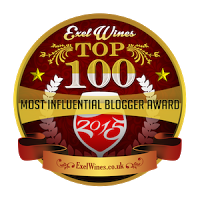 Of course there will be much more and most importantly, a number of Virginia wine lovers such as you! 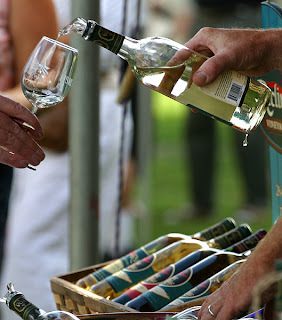 Advanced tasters tickets are available for $15 up until June 11th at the Visitors Center or by phone (credit cards only). Tickets at the gate for tasters are $20 and includes a souvenir glass, and for non-tasters and those under 21, the price of admission is $10. For kiddies under 5 years old admission is free, so grab all the cookies and grape juice you can get your hands on! Visit the Historic Manassas calendar of events , or call 703.361.6599 for further details and ticket information. Lets hope Mother Nature serves up a nice weather day - Dezel is putting his order in now for sunny, 80's and low humidity!